TideCEO and Founder George Bevis. 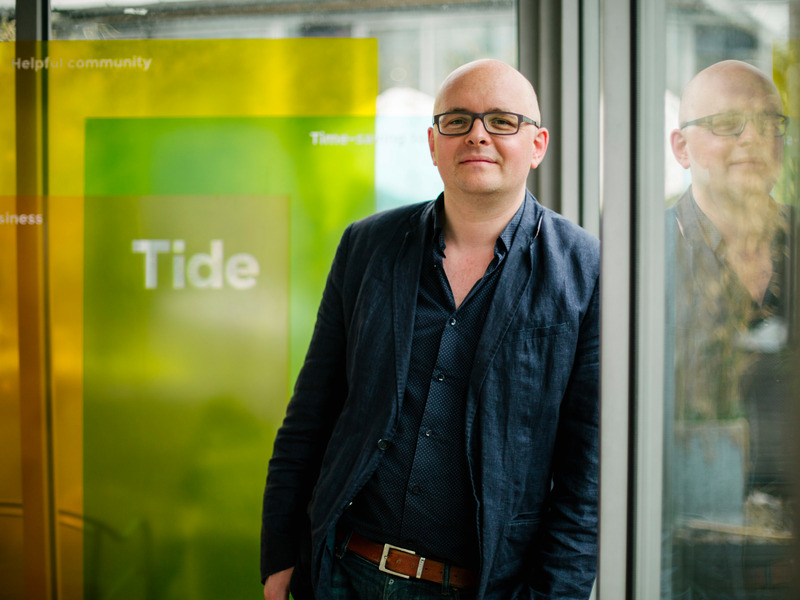 Banking startup Tide raised $US14 million in one of the largest Series A funding rounds closed by a fintech company this year. The funding round was led by specialist fintech investor Anthemis, along with Passion Capital, LocalGlove and Creandum, the company that backed Spotify. Customers can open a Tide account in minutes, using only their passport or driving licence. Intelligent features aim to automate routine administrative tasks — the app can read invoices that are uploaded, and work out who and how much to pay — and accounts can be multi-user and as well multi-currency. Users can also integrate Tide with other fintech services, like currency exchanges. 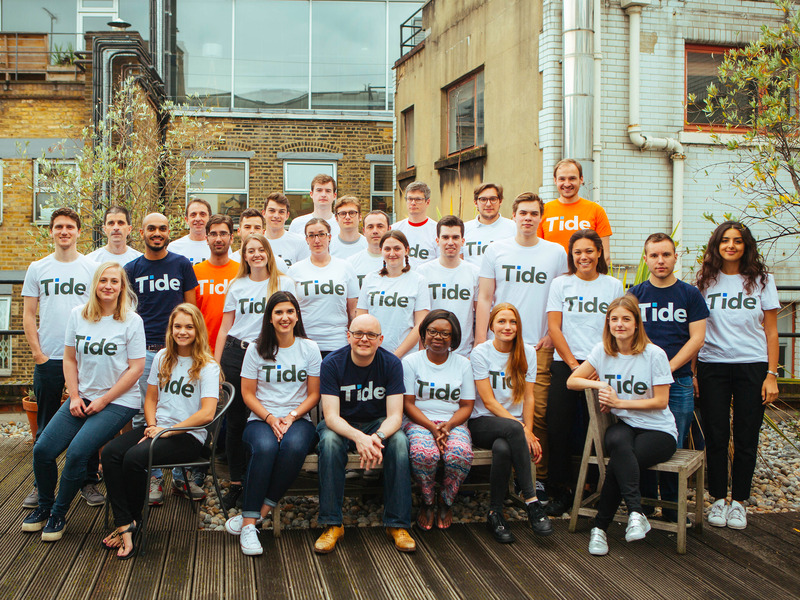 Unlike other banking startups like Mondo, Tide does not have a full banking licence — nor does it plan to get one. Instead, the money is held by Barclays with Tide handling the transactions. “Having a full licence would be bad for our members,” says Bevis. Not having a full licence, he says, means “we can’t take risks with our members’ money,” which provides a level of comfort to members that they might not otherwise have. A full licence would also cause a “management distraction,” says Bevis, since Tide would need to hire many more people to carry out all the additional tasks traditional banks perform. Without this, he says, Tide is free to focus on the development of unique tools and features. 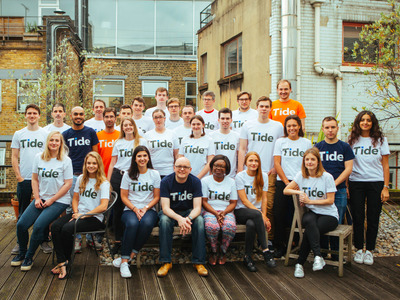 TideThe Tide team, which is set to grow. The partnership with iwoca is also new. The lender aims to grant loans to SMEs that aren’t eligible for traditional bank loans, in a matter of minutes. “Credit is fuel for growth for small businesses,” says Bevis. But, he says, SMEs have historically had to go through lengthy and often unsuccessful applications for loans, at banks that don’t understand their business models. “Access to financial services on demand has become a basic expectation of businesses, which until now has been unrealistic. With Tide, that has changed,” says Tide’s chair and joint investor Passion Capital’s co-founder Eileen Burbidge.